X marks the spot. The spot where the ex has to take a stand. Perhaps even the spot where the ex eventually gets buried. 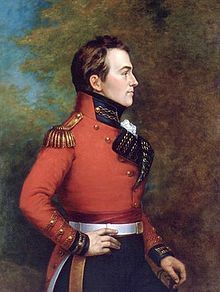 The Isaac Brock narratives turn on many different themes. How the ex came to be — and how the ex came to be even more subjected than the peculiar majority that remains encircled by the geographic borders that define such a singular nation as the United States. The foremost word in this tangle is expatriation. The IRS offers Guidance for Expatriates Under Section 877A and Expatriation Tax. That is the you-can’t-go-home-again (if home it ever was) expatriation of an irrevocably redefined status. The for-profit web site that calls itself “Expat Forum” decided in early 2012 that only the simulacrum of expatriation was a permissible topic. Overnight two of its highest-traffic threads vanished. When is an expatriate not an expatriate? When the talk gets real? Opportunity. Marriage. Finance. Happenstance. War. Advantage. Education. Resistance. Heritage. Adventure. Preference. Labor. Fear. These are among the factors that have produced the millions of the American diaspora. Diaspora may be the second most prominent term that is being used to describe what is going on right now. The scattering of a diaspora is the opposite of a magnet, of a new world that attracts. Always diaspora is a premonition of disaster; when full-blown, diaspora becomes a consequence. Immigrant transmutes to emigrant. Lurking behind all of these words is exile, perhaps the most powerful word. Another ex word. The shame that the word exile brings to the word freedom, was, at the most abstract level, why Jimmy Carter historically had to extend unconditional pardon to the unresolved cases of Vietnam War offenders who remained outside the borders of the United States. Despite strenuous administrative efforts that had cleared most of the slate, a proclamation was required to erase that recalcitrant final residue. The United States is on the verge of creating a real horde of exiles. Cases already abound of individuals who do not feel safe in crossing the security perimeter of the “homeland” (unfortunate term so associated with the segregation of recent South African history). Evidence grows that passports are being scanned for signs of U.S. origin. Uncertainty leads a majority to adopt a rational practice of staying off the radar, at least for the time being. Why choose to attract a heat-seeking missile rather than fly low? Even formal renunciants are left to speculate that their actions are being disappeared by dodgy statistics. So far, the Isaac Brock Society web site has eschewed the word exile, except for the appeal to history in its inception, and in one other incidental occurrence. More often than not, however, modern expatriates have been refugees, rather than exiles in the strict sense; usually they were not physically deported from their countries or banished by law; they escaped from political persecution, prison, death, or simply censorship. That the position of an outsider offers a cognitive privilege is well known and unquestionable. A tourist often sees thing which a native does not notice, as they have become a natural part of his life. We have become the tourists to the United States who can scarcely tell the natives what we are seeing. « American Citizens Abroad (ACA) recommendations for fundamental tax reform has been posted. Like East Berliners, Americans abroad are jumping the wall (renouncing citizenship) in droves. http://righteousinvestor.com/tag/new-berlin-wall/ (on two pages). Thanks for mentioning that series. (Pre-Isaac Brock days). Good post. It has always astounded me that the history of US immigration as told in the US is treated as a one way trip. It never has been – people have been moving to the US and leaving in large numbers for as long as the US has been in existence. Between 1900 and 1980 10 million of the 30 million immigrants went home after they made their money. US naturalization rate has dropped to 37% which is a pretty good indication that well over half of the immigrants in the US think of their stay as “temporary.” The mass exodus of Mexicans and other nationalities like Chinese and Indians in 2009/2010 has been well documented by MPI. International retirement migration is exploding – lots of folks in Mexico and Panama. I met a fair number of ex-military in Asia – Japan, Philippines for example. Infosys is getting tons of CVs from Americans wanting to come to India. There are several countries in Europe now that have US populations exceeding 200,000 people. There are two books that have really shaped my thinking about this: Peter Spiro’s Beyond Citizenship and John Wennersten’s Leaving America. Now the US is really at a crossroads here. They can recognize and work with the American diaspora or they can ignore and vilify it. I think the latter strategy is a huge mistake. Not only does that mean that they can’t use the diaspora to further their own interests but they are actively creating a group of people, formerly pretty positive about the US overall, who might, in ways small and large, work contrary to US interests. In my life abroad I have been in a position to both recommend US products and to counter some of the anti-Americanism I encounter in daily life here. At this point I’d say that my enthusiasm has moved into the neutral column. I am no longer in the mood after reading some of the nastier comments in the media to go to bat for American companies or for my fellow Americans in the home country. Would I recommend US cloud services today? Absolutely not. I’m not even listening anymore to the Obama administration’s attempt to do damage control and help US IT companies compete in this market. Next nasty comment I hear about Americans and TV and obesity, I’m going to keep my mouth shut and let my friends and colleagues here in France think what they like. And so on and so forth. Just not ready to go the extra mile anymore. Multiply that attitude by a few hundred thousand American diasporans who are equally irritated right now and you are going to see some real damage. Alas I think they will never notice – it will all be blamed on unfair Chinese business practices and those evil Socialist protectionist Europeans. “Liberty’s Exiles” A book which praises the Empire Loyalist whose “spirit of ’83″ more successfully spread American ideals that did the revolution. Good citation. Title already on the mental to-read list but forgotten. A reminder to all extraterritorials of U.S. origin and/or culture of the ongoing task of extirpating the ugliness from our American instincts. Liberty is good stuff as long as it does not serve imperialism. After all, many of us seek our freedom … from the United States! *I read an article yesterday posted on money.cnn.com/2012/09/11/news/companies/ubs-whistleblower-reward entitled UBS Whistleblower. In the article is states that as a result of a former UBS banker named Bradley Birkenfeld, the US has seen over 35,000 americans participate in amnesty programs and as a result have been successful i collecting over $5 billion in back taxes, fines, and penalties. Birkenfeld received a 40 moth prison term in 2009 for his participation in UBS’s tax evasion and is receiving a Whistleblower reward for $104 million dollars. It is perplexing to me when I compare this to an article posted on the IRS Website on June 26, 2012 this year entitled “IRS-Says Offshore Efffort Tops $5 Billion. They have exceeded the $5 Billion mark from a collection of approximately 34,500 individuals who have participated in their program. Interesting that the numbers these articles cite individually are almost the same. The trouble I am having with this is that the net that has been cast to catch a bunch of dirty bankers and greedy americans, has been extended to include and disrupt the lives of so many innocent human beings around the world who had the misfortune of being born in the US. Just a curious little thing. Here’s an outline for a play I’ve been working on while awaiting the arrival of my CLN. I’m sure many others can relate. The ending obviously leaves it open for a sequel. Hopefully free from the zombies. I like your work — now we need some music added to make it a Broadway musical. *Great idea, Calgary411. Maybe someone can write the lyrics for a menacing but rousing third act show-stopper on FBAR, FATCA and IGAs. AnonAnon says January 29, 2013 at 10:31 am “here’s an outline for a play I’ve been working on while awaiting the arrival of my CLN”. IBS has incredible resources for the alienated American abroad (actually I am in the grey zone having renounced but not having my CLN yet). My next door neighbour is gone. She is a fellow MD. I helped her document her previous relinquishment. The Calgary consulate was extremely nasty to her, but she held her position and her CLN eventually arrived in the mail. A good friend of mine (also an MD) is a permanent resident and is biding his time until he is eligible for Canadian citizenship. He feeds junk returns to the IRS via Turbo Tax to remain US tax compliant. His plan is to immediately relinquish his USC upon receiving his Canadian citizenship. Through the grape vine I’ve heard about other US tainted MDs in my community who are either following the “duck and cover approach” or else planning relinquishments and renunciations. A nurse colleague who is a dual citizen and has lived in Canada for over 35 years tells me she is renouncing. In my part of Canada, the rush for the exits seems to be under way. A consequence of FATCA and CBT is the mass destruction of US citizenship for expats. @BC_Doc, thanks for the update in your neck of the woods……. Remember the old days when it was absolute heresy to talk about getting rid of USC? It was heresey because you were in camp A which was that you were proud of that history in your closet or camp B in that you could not be bothered to fill out the paper work taking a few days out of your life. An election is coming up in my neck of the woods and I am aware of tainted persons standing for local elections so they qualify for a voluntary relinquishment of duly elected to a political subdivision!! Every day over here in Europe I meet people who tell me they renounced and have done nothing more. They don`t even file any back taxes. They just consider themselves to be free once they renounce. It would be interesting to know what the ratio of compliant to non-compliant renouncers is, Polly, and if those who are non-compliant will alter their behaviour, such as avoiding travelling to the US. Some are elderly and don`t intend to travel to America anymore. But some are young! I wonder about them too. Bravo to you in describing the path that many of your fellow MD’s and other medical colleagues with US taint are following. Your comment describing this phenomenon gives me great hope. It is people speaking up in the face of injustice. BC Doc I love it! He feeds junk returns to the IRS via Turbo Tax to remain US tax compliant. The floodgates are open at the consulates and embassies as expats clamour to get out. The egress is too small though, and untold others flow over the top of the dam– deciding to lie low, self-relinquish, not return to the U.S.
Is anyone here meeting expats who say they’re planning on keeping their USC? I’m not. @Portland. Like many docs in BC, he is incorporated. He enters the salary his corp pays him. The money retained in the corp (his retirement savings) goes unreported. If the IRS audits him and asks him for copies of T4s, bank account information, etc, he plans to tell them to eat it. He doesn’t file FBARS– he refuses to hand over the information. @usxcanada. You wrote this piece over three years ago. The future you predicted is now. The only workable criterion for evaluating a foretelling is hindsight. More seeing the future, eh? Hey right, Petros’s two blogs should be merged. For a few weeks my wife was complaining about my uses of stops, which I placed a few times to prevent pending profits from turning into losses, and the stops got hit which left me with small profits, but then the market turned around and went the way I predicted so I missed out on larger profits. One time I delayed putting in a stop so the market kept moving against me and I had a larger loss. I explained to her that she is right, that yes indeed, it is more profitable to trade pasts than to trade futures. Then she understood. Same for us here. We know we should have renounced decades ago. Look at all the losses we could have avoided if we’d known when to renounce. Ex is right. Ex doesn’t need why. We know why.